Concerts Penzance present their only concert this season at 2.30pm on Sunday 30th November at Paul Church (near Newlyn) welcoming the outstanding Florian String Quartet from Manchester. One of the most interesting of the new generation of chamber groups, the Florian Quartet is deeply committed to conveying the intimate qualities of conversation and spontaneity within the quartet tradition of Haydn and his followers, while also exploring the extremes of the repertoire from consort music to the present day. For Concerts Penzance the Florian Quartet perform Haydn’s uplifting String Quartet Op.20 No.2 and Dvorak endearingly popular String Quartet op.96 “The American” written in the months he later described as the happiest of his life. The quartet are also joined by viola player Tim Boulton to perform Brahms’ magnificent String Quintet in G major op.111. 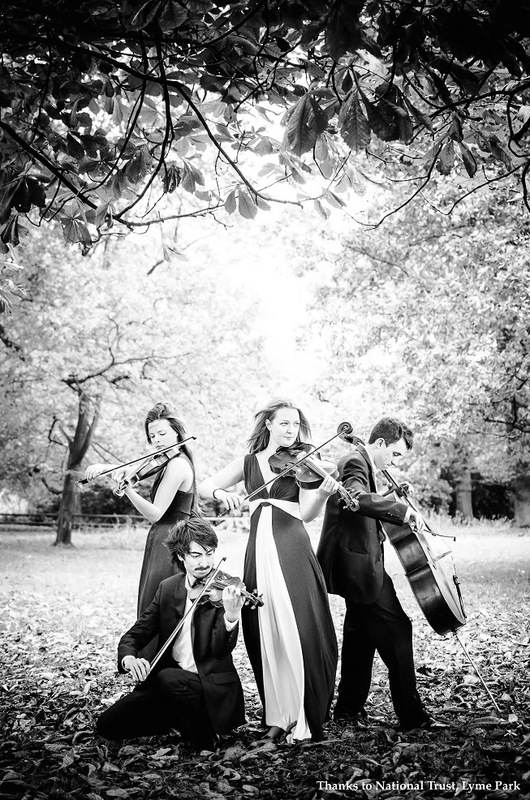 The members of the Florian Quartet (formerly known as the Aomori Quartet) read music at the universities of Oxford, Leeds and Birmingham before meeting as postgraduate students at the Royal Northern College of Music, Manchester. The quartet continues to study with Prof. Laurence Dreyfus in Oxford and members of the London Haydn Quartet, and are regular participants in the public masterclasses at ChamberStudio, Kings Place, London. They have also attended the Britten-Pears International Academy of String Quartets at Aldeburgh studying with the Kopelman Quartet, and the European Chamber Music Academy, and have received valuable input from Christoph Richter, Susan Tomes and Tim Boulton. The series of Concerts Penzance has become a highly valued highlight of Penzance cultural life over the last 7 years, but due to the year-long closure of St. John’s Hall for refurbishment the concert at Paul will be the only performance this season. Mounts Bay Wine, Bread Street, Penzance 01736 364118.